The M30 Auto Dialer is designed to interface directly with any industrial float / level switch, door switch, window switch, motion sensor, temperature sensor, panic button or any other type of sensor that provides a NO (Normally Open) or NC (Normally Closed) alarm contact. When activated the M30 will automatically contact the pre programmed alarm contacts (5 numbers in each of the 3 user selectable on call groups – note this is upgradeable) via voice or text over the PSTN / GSM networks. The M30 will continue to try and contact someone until the alarm has been acknowledged. The SMS feature can be used as well as or instead of a voice call. DTMF and or Pulse dialing. The above list is only a small subset of the features available for the M30, visit our Standard and Optional features pages for more information, in addition as the M30 is designed and built by us in the UK if there is a feature you need or you want the M30 to work in a particular way for your application then please give us a call as we can normally create them for you. That is why our M30 Alarm Dialer is specifically designed to Remotely Monitor Alarms on unmanned or critical industrial / commercial sites. It comes with all the types of feature you would expect from an industrial unit, including; 4-56 separate inputs, GSM & PSTN communication, industrial components, integrated battery backup and an IP56 enclosure. – Check out more features at the bottom of this post. The M30 Alarm dialer can even be installed in locations without a physical phone line by using its GSM voice and SMS options. The SMS option allows you can choose the type of message (SMS / Speech message) each alarm recipient will get via the easy to use LCD and menu system. E.g. If you wanted you could set it up so that the first person gets a SMS, the second a voice, the third a SMS etc. Each input/channel on the M30 has its own user definable message SMS and speech message so instead of a generic “channel 1 alarm” you will receive a more useful “High Temperature in building 181” each machine also has a unit identifier message (e.g. “This is the Aberdeen water treatment plant”) to enable you to easily disting uish where the alarm message has come from. Remote 247 Interrogation from any phone. 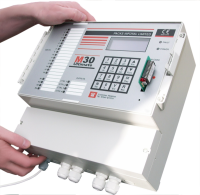 The M30 Alarm Dialer is designed to interface directly with industrial SCADA systems and can be simply connected to your SCADA alarm output board or interface module to enable simple monitoring of your systems. 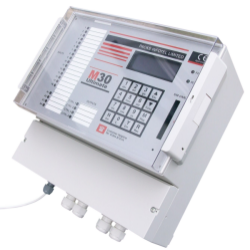 As the M30 is often used in hostile industrial environments where SCADA systems have been also been protected the M30 is also designed to withstand temperature, vibration, and voltage extremes and comes with 4, 8, 16 & 56 individual alarm inputs, an IP56 enclosure, integrated battery backup and integrated mains failure monitoring. cal alarm and or switch to a backup GSM connection. horticulture production to name a few. The GSM connection can either be used as a dedicated solution if you don’t have or want to use a PSTN line, or you can use it as a backup. 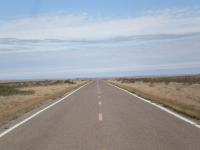 When used as a backup, the M30 monitors the connected PSTN land line connection and when a failure is detected it will automatically move the M30 across to the GSM line. Each input/channel has its own independent configurable message, plus there is universal machine identification, useful if you have more than one machine. Setup is very easy and is all done via the keypad and LCD display. When setting up the outgoing alarm contact list you simply choose whether you would like the recipient to receive a SMS or voice call. We have just added a new Page on our website on how our M30 Autodialer is used around the world by our customers for remotely moniroting their SCADA systems. The M30 Alarm Dialer is an advanced machine specifically designed for hash commercial and industrial environments. 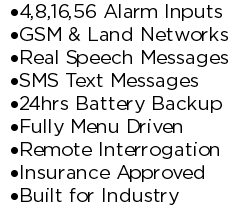 As a Commercial Alarm Dialer it comes with all the features you would expect including 4,8,16 & 56 individual alarm inputs, Cellular and PSTN phone options, integrated battery backup and an IP56 enclosure… Check out more of its industrial features below. Each Channel/input on the M30 has its own user recordable message allowing you to easily distinguish between alarms. All recording and setup is done via the user friendly built in keypad and LCD screen. The Cellular voice module can also be used as a backup, if you have a PSTN line available – The M30 will monitor a connected PSTN landline, and when a failure occurs automatically switch to the Cellular network. Each channel/ input on the M30 has its own customizable SMS message plus there is a general machine identifier. This means instead of getting a general “Channel 1 Alarm Active” you would receive a much more useful “Acme Alpha site – Power failure in building A1”. When the M30 senses an active alarm it will send you a SMS for each active alarm channel. This feature is very easy to setup and is just a case of selecting in the menu whether you would like a alarm call recipient to get a SMS or Speech message. GSM Network dialing and backup. The above list is not definitive visit please visit the Standard Features & Options Features pages for a complete list. The M30 is designed and built by ourselves in the UK, so if there is a feature or function you need for your particular application then please let us know as we can normally create it for you. For more information or pricing on our M30 Auto Dialer please contact us or visit the SMS / GSM Voice Pages on our site. We also now have a dedicated SMS section on our Blog. As of the Summer of 2013 we have added another new feature to our M30 Alarm Dialler, the ability to setup a default “Multi Channel Active” alert message. On a standard M30 when you get an alarm call, the M30 will play a message detailing every current active alarm, this can take a while if there are lots of active alarms, especially on a 16 or 56 channel machine. With the “Multi Channel Active” feature if more than 4 (default is 4 but is alterable) channels/inputs are active the M30 will play a short user recordable message e.g. “There are Multiple Alarms Active, call back or interrogate for more information”. If you want to know exactly what channels are active you just have to phone the M30 back to cancel the alarm or perform a standard integration, and as per a normal machine the M30 will list all the active channels.